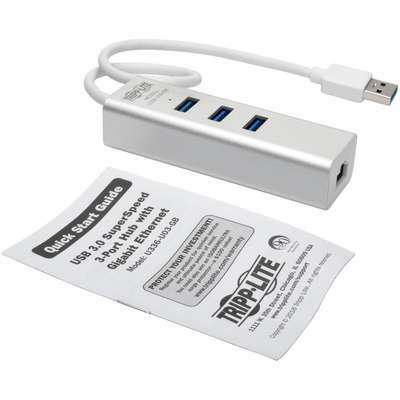 The U336-U03-GB USB 3.0 SuperSpeed to Gigabit Ethernet NIC Network Adapter allows you to turn a single SuperSpeed USB 3.0 computer port into an RJ45 Gigabit network port. 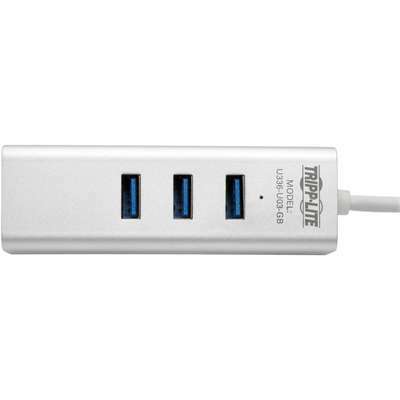 It also creates three new additional USB 3.0 hub ports with each port supporting data transfer speeds up to 5 Gbps. 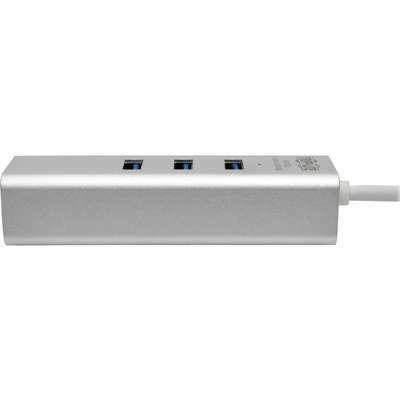 This USB 3.0-based NIC lets you connect to your home or office network at full Gigabit speeds with support for 10/100/1000 Mbps. It supports features such as Wake-on-LAN (WoL), VLAN tagging and Jumbo Frames. The U336-U03-GB is backward compatible with USB 2.0 and USB 1.x standards and will support older USB devices. 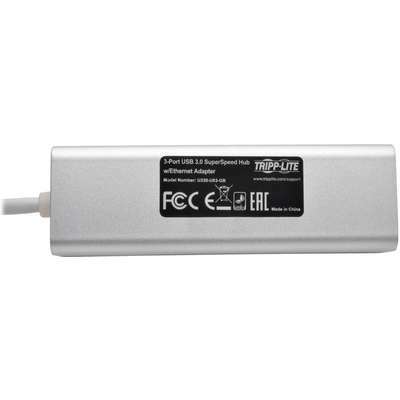 It can also be used with older systems that do not have USB 3.0 ports (network speed limited by USB 1.x/2.0 bus), allowing you to utilize USB 3.0/2.0/1.x devices. Microsoft Surface Book 2 i7 8GB 256GB SSD GPU 13.5"